There are all kinds of different therapies for children on the autism spectrum but in my opinion, two stand out head and shoulders above the rest; Speech Therapy and Occupational Therapy. Both of these are expensive and even with government support, it's unusual for parents to be able to continue beyond one or two terms at a time. You won't become an occupational therapist simply by using this book but you will learn a lot of fun and simple techniques to achieve many of the same things that occupational therapists work toward. 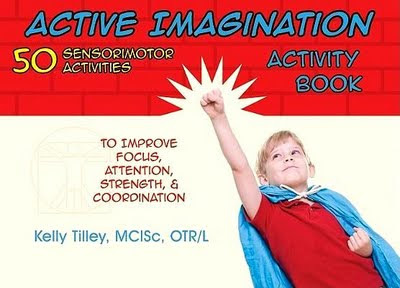 This book is intended for use with children and adults who need help with attention, calming down and energizing but I can see that it will also provide a lot of benefit for people with poor co-ordination and/or low muscle tone - two things which affect many people on the autism spectrum. The book itself is spiral bound and set up so that it can be folded to "self-display". This is a really useful feature for this type of book. Even better, the pages are all plasticised which not only provides better protection but also keeps them shiny and bright. In fact, these pages are so shiny and bright that they "leap out at you". The great use of colour makes this a fun book to use. It's all quite subtle and I missed it at first assuming that it was part of the page design but it's a very useful set of criteria. You'll want to use particular types of exercises with your child at different times during the day. There is also at least one or two very relevant illustrations on each page. If an activity is "complicated", then multiple postures are shown. The activities are all described in a few simple sentences which means that even the kids can self-pace themselves through activities. The activities all have great names, like "The hot dog", "Cotton candy" and "daddy long legs" and they're all quite achievable and look like a lot of fun. The activities sensibly avoid any major equipment requirements and if you've got floor space, little bean bags (or something else, like tennis balls or balloons), then you've really got what you need to do most of the activities. This is an extremely well thought-out, well laid-out book which contains 50 very relevant and easy (and did I say fun!) 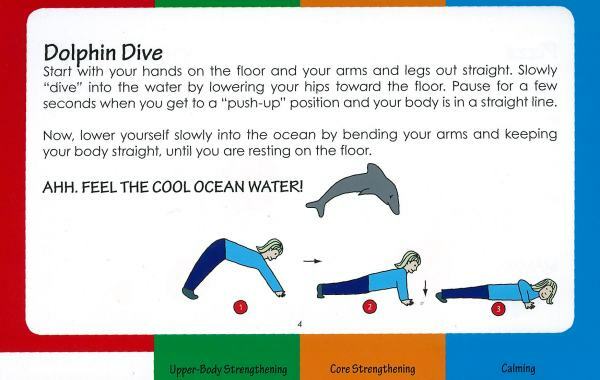 exercises for children and adults. If you're an occupational therapist - there's absolutely no excuse to not have this book - it really is that good. If you're the parent of a child with special needs, or if you're an adult with sensory or muscular difficulties, then this is the best way to address them at home. Finally, if you're a teacher, particularly a physical education teacher at a primary/elementary school or kindergarten or if you interact with groups of children in other ways and settings, then this book will come in very handy. As for myself, I'll be taking this one off to Joey and Cub Scouts. The "Active Imagination Activity Book: 50 Sensorimotor Activities to improve focus, attention, strength and co-ordination" by Kelly Tilley. MCISc. OTR/L is available from Amazon and other good book retailers.